Thanks to Sarah for taking notes in workshop 1! 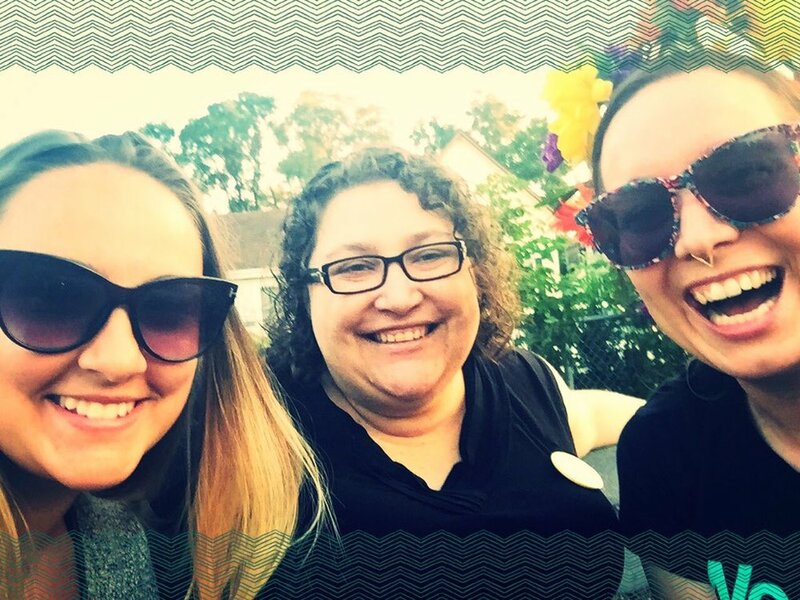 Broad Conversations recently hosted two Feminist Canvassing Workshop days to offer a place for women and gender non-conforming folks to gather and exorcise some nerves about canvassing. We discussed what it means to be a feminist while canvassing and did some knowledge sharing and brainstorming. Our conversation started at the end: what are the true goals of canvassing: why do we do it? It's not about convincing people to vote, really. It's much more about data collection so that the candidate's get out the vote (GOTV) effort on election day can be as targeted and as effective as possible. We then talked about tactics at the door and what to keep in mind while canvassing. Then, we concluded by listing what to do before you canvass: how to prepare, what to bring and wear, and what approaches may help alleviate anxiety. database information: voting, donation, do they want a sign? what is your intro line? ask a question- do you know the candidate? do you know there’s an election? did you know the election is October 22? have you got a minute to talk with me? I'm voting for the candidate because ___, does that resonate with you, have you heard about that issue? respect that people’s opinions might just not be changeable. Finally, we resolved to share the wealth, to talk about canvassing with feminist friends, and to support each other. It is scary but it is so worth it. Thanks to everyone who attended and contributed so generously and thoughtfully! I'm sharing this report for two reasons. One, to keep me accountable to follow up on all the wonderful ideas that were shared. And two, because I would love the participation of folks who weren't able to attend on Feb 20. Please jump in, to whatever degree you're comfortable, as we continue to coalesce this experiment into something meaningful for our feminist community in Hamilton. To start the evening, we heard a fascinating talk about the role of dialogue in academia and the role of gender in innovation from Andrea Rowe of Feminuity who I really encourage you to check out. Then, because unfortunately our other two speakers were out with the flu (I hear they're feeling better by now!) I ended up reading a chapter from Ijeoma Oluo's So You Want to Talk About Race. The two conversation starters led us to a validating and supportive group chat about what it's like to speak up for someone or stand up for an idea in the moment when someone voices bigotry or ignorance in your vicinity. And then we started to talk about what Broad Convos can do to support each other and help ourselves to do better at this -- that's when I hit cloud nine, by the way. How lucky are we, to have a community of feminist folks around us who care so much that they'll take time on a rainy Tuesday to come and listen and talk it out. It's just the coolest. We are starting a Slack channel! The general consensus is that Facebook is sometimes too personal, or it's not something everyone has these days. Slack is anonymous and allows us to have a more robust and organized ongoing discussion through the use of channels of discussion. Don't know anything about Slack? This is a good primer. Want to join this Broad Convos Slack community? It's free and all you need is an email address. Send me an email to request the link to join! We are starting a virtual resource library! Have you ever found yourself googling "why racism is real" or "misogyny stats" in order to prove a point in an argument or debate, online or in person? Me too, and it's really hard to do it in the moment! There was a great point at Broad Convos 3 that we could organize a virtual resource library by theme, so we have a list of informative, researched, and legitimate resources at our fingertips for easy sharing. Our Slack group has a #resources channel for sharing these and I have also created a page on the website so you can submit an article or resource to include, but feel free to also just email me your list of fave resources for countering bigotry! We want to do some media training! Stay tuned for more details on a spring event with local journalists to help us learn how to write an op-ed or share our opinions in other creative, attention-grabbing ways. Wouldn't it be cool to do a feminist hackathon!? 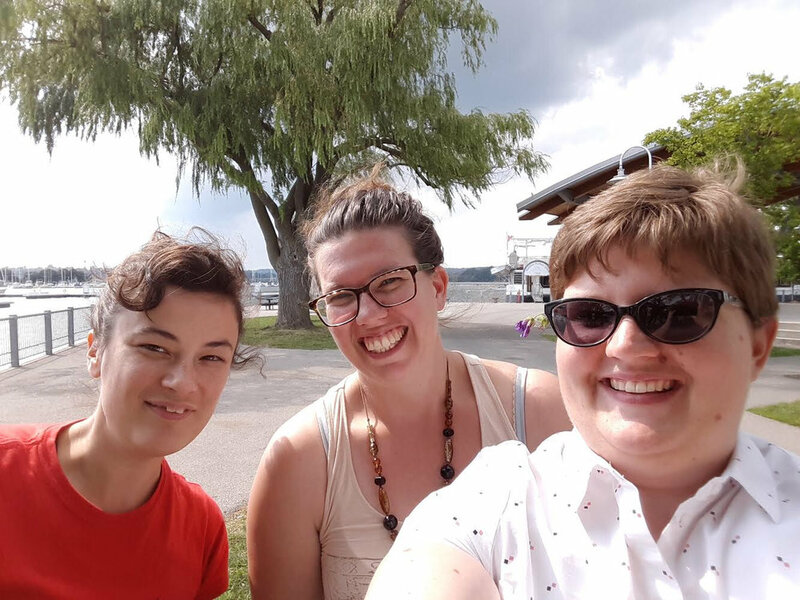 Another percolating idea, but what if we had a weekend with Hamilton feminists where, in teams, we took feminist advocacy and city-building projects from idea to execution? I think it would be just the best. If you do too, please send me a note! Or join the Slack channel for more details soon. Ok, that's all my brain can remember from a week ago. If you were there at the last gathering and you're thinking, "what a scatterbrain, she totally forgot X" then please email me! One more thing - we are about to reach March 1 when our first SECRET DISCOUNT for a local women-owned Hamilton business will be emailed to Broad Convos Collective Members, our Patreon community of supporters. Check it out and offer your support here! Join before March 1 to put your new adorable Amy Egerdeen-designed membership card to work getting the secret discount for March. In early spring, Broad Conversations opened a survey-based registration for its summer series: Feminists & Fractals week, August 14 to 20. 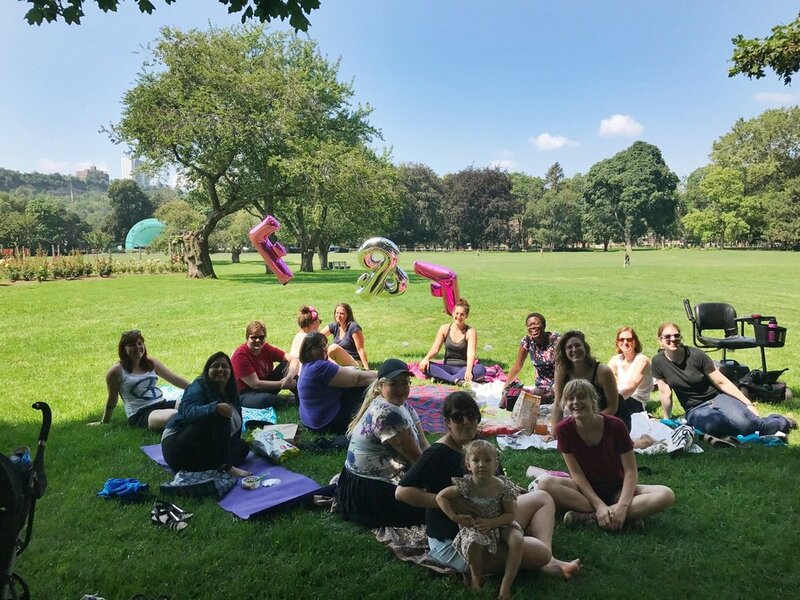 The idea was to use the survey to assign small groups of women to one of a variety of activities to run during the week, culminating in a Sunday picnic where everyone could use their activity as an icebreaker when meeting others. You can read more about the impetus for the week - and the naming of it - here. Summarize some anonymous highlights from the survey. Report on outcomes of the week. Offer suggestions and learnings for next year or others who want to do something similar. Share next steps for Broad Conversations.- including new types of gatherings! Everyone who registered for F&F week completed this survey - 135 women. Here are some charts summarizing a few key questions - for your interest but also to see if these answers change at all in future F&F weeks. During F&F week and in the days since, I've thought a lot about the experience and how it might have been improved. I also want to make it as easy as possible for others to benefit from the ground work done in planning this event, so I've collected some thoughts here but also have put the survey questions in a Google Drive folder for anyone who wants to do something similar. My first conclusion from the week is that the outcome was absolutely worth the input. I would estimate that, in the weeks leading up to F&F, I put about 10 hours a week into the planning and execution, but it was a joyful experience. While I didn't get to meet all of the participants, I did get to read their survey responses, which were bursting with personality and feminist pride. Much of the related email correspondence was similarly illustrative of the generosity, enthusiasm, and humour of F&F participants. And then, to hear back about the connections made, the conversations had, and the way that many participants were nervous and then were happy they went to their activity -- totally worth it. My second conclusion is that events like F&F are filling a need. Many participants shared that this was one of the only community events they had attended where it was an explicit gathering of "feminists." Others said that they liked the opportunity to learn something new while meeting new people in the city. It was amazing how quickly we were able to become comfortable with each other during our activity. This experience was a wonderful way to try something I never would have ordinarily done in a safe space with like - minded women. Being part of Feminist & Fractals has helped me to feel a greater connection with Hamilton's community of badass women. I loved Feminists & Fractals! A mystery activity where I met awesome women--what's not to like? After the week, I felt a better sense of community in the city I live in and a stronger desire to connect with music thanks to the singing lesson I participated in. I left feeling I was less alone. I run into so many feminists of all ages who feel isolated. Feminists and Fractals was an easy way to remove those barriers and have feminists break that bubble and have low key hang outs. Feminist & Fractals was the perfect opportunity to do something I love, while meeting amazing women in my community. It was a fantastic evening full of joy, learning, and empowerment. 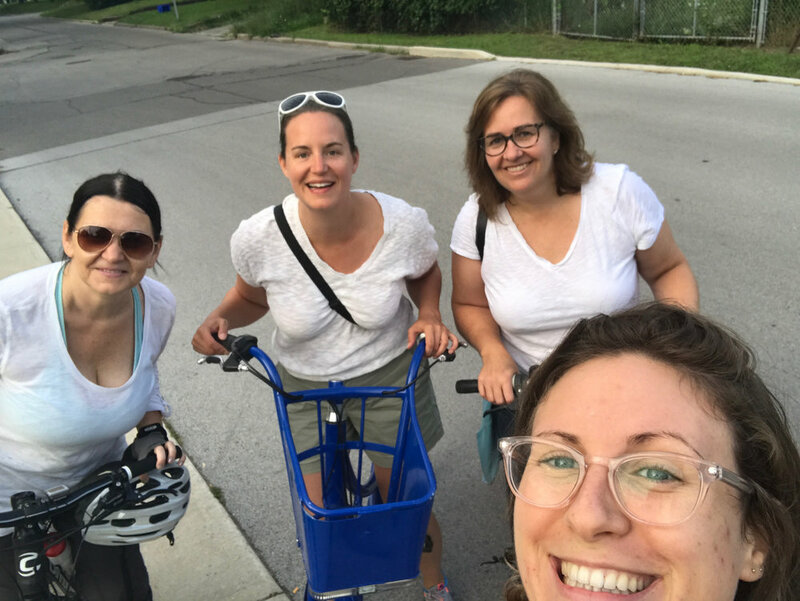 This experience has set a standard for women's events in the Hamilton community - it was such a unique opportunity and I am thrilled to have been a part of it! My third conclusion is that this could and should be bigger and better next year. For me, the key area of improvement - especially if we'd like to scale it up - is the organizational component. Participants seemed to really enjoy the registration survey, but I think a few key questions could be added to help categorize interests in order to make groups and assign activities more efficiently. I would also start speaking with potential activity hosts well before the group and activity assignments were finalized. 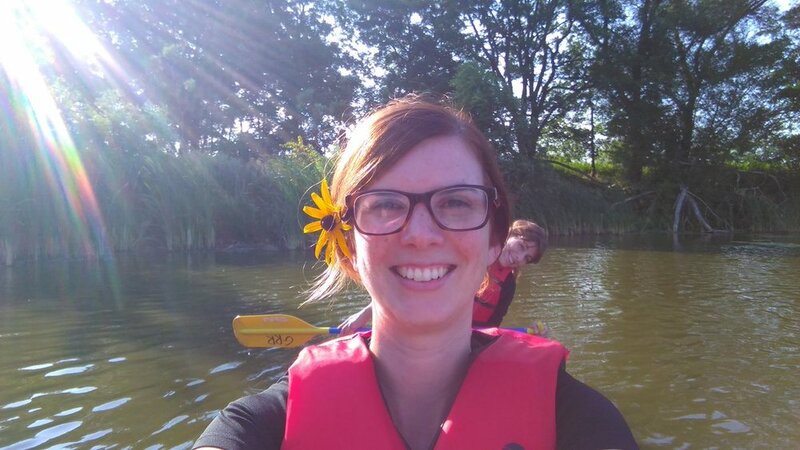 We missed out on a few really neat activity opportunities because there wasn't enough time. More hands to help is also something I will try to work on well ahead of time next year! Another key area for improvement is in communication. The event was a bit unconventional and feedback showed that it could have been more carefully and fully explained. There was a trend of no-shows throughout the week, which is both completely understandable and possibly fixable with better communication. There were some super cool activities that I think I would have liked even better if I had had a chance to choose. Was sad to miss the picnic. So maybe offer a few different large/full group activities on the weekend? Maybe something at the beginning to bring people together. I hope I'll be able to follow up with the discussion at some point. Contact each other by email before activity? Might be less intimidating to do intros before & perhaps attendance might be better. The last conclusion is that F&F could be better with funding. And on this point, I'll admit that I'm still working through possible solutions. There were some expenses that I took on (not many) and even more opportunities for activities I opted not to pursue because they were over the $20 maximum possible cost I set for participants. With the benefit of a sponsorship or perhaps a registration fee across all participants, we could have more flexibility to go for a really neat activity booking or do more outreach. I'd love your opinion on all of this, feel free to get in touch! If you didn't get to offer your feedback yet, or have additional thoughts after reading this summary, the survey is still open here or you can email me. I'm also happy to speak with anyone hoping to run something similar in their own community. There were a few folks at the Sunday picnic who liked the idea of a private Facebook group for Broad Conversations, so I have created one here. Based on their suggestions, I envision this as a place for ongoing conversation, camaraderie, and commiseration, with a healthy dose of cute animal pics. The feedback from F&F week also illustrated how important social connection is to building a feminist movement. So, I am hoping to build more social gatherings into the upcoming year of Broad Convos programming, in addition to the original conversation-based gatherings, which will continue. 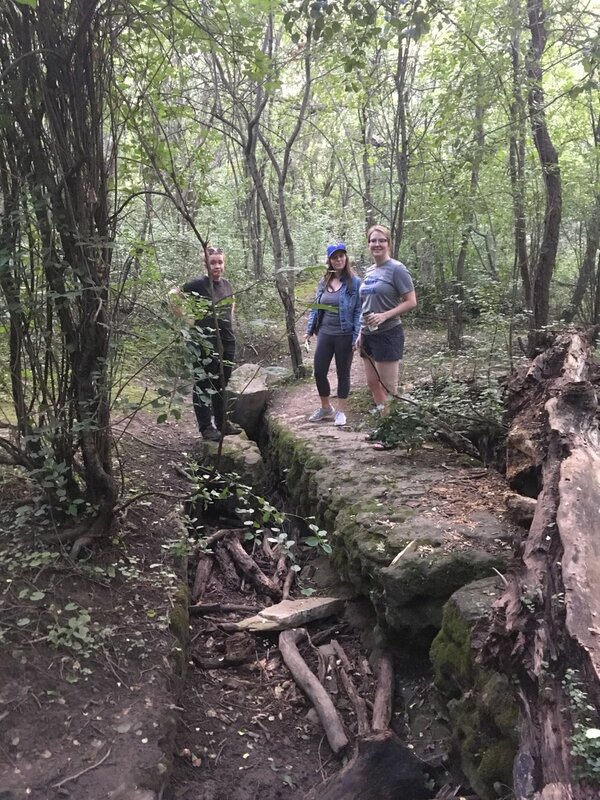 As a test, I'm going to run two social gatherings this fall - a hike and a silent book club - and we'll see how they go. These will complement Broad Convos 3 (topic TBC). For dates and details, check out the gatherings page. Thank you everyone for being so wonderfully supportive and willing to try something new. I hope that together we can build a community where we can fight oppression while addressing our own loneliness, where we can learn without feeling stupid, and where we can meet new friends and allies. This is something I've started, but I want Broad Convos to be something we own together. If this resonates with you and you'd like to be more involved, please get in touch.